Craft distilleries in Brooklyn evoke an image of hypermasculine guys with beards. The same could be said of motorcycles. 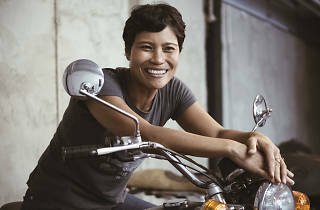 Yet at the helm of one of the borough’s most innovative alcohol start-ups is biker Marie Estrada. Leaving behind a career in book publishing, Estrada opened MÔTÔ Spirits in 2017 with her business partner, Hagai Yardeny. 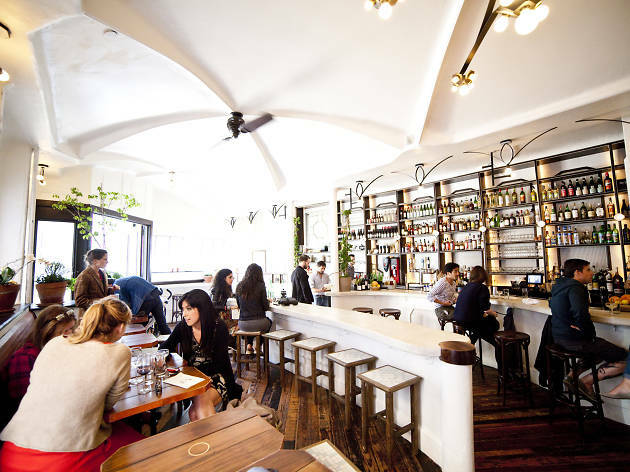 Inspired by their travels, they specialize in Vietnamese rice whiskey and Croatian Jabuka (apple juice and whiskey). We asked Estrada about her favorite bars in NYC, the clients she loves and where she golfs around town. "We’re part of the motorcycle community. My business partner has six bikes. I have two—I’m a new rider. We have our bikes at the distillery in the tasting rooms. That’s why we’re called MÔTÔ Spirits." 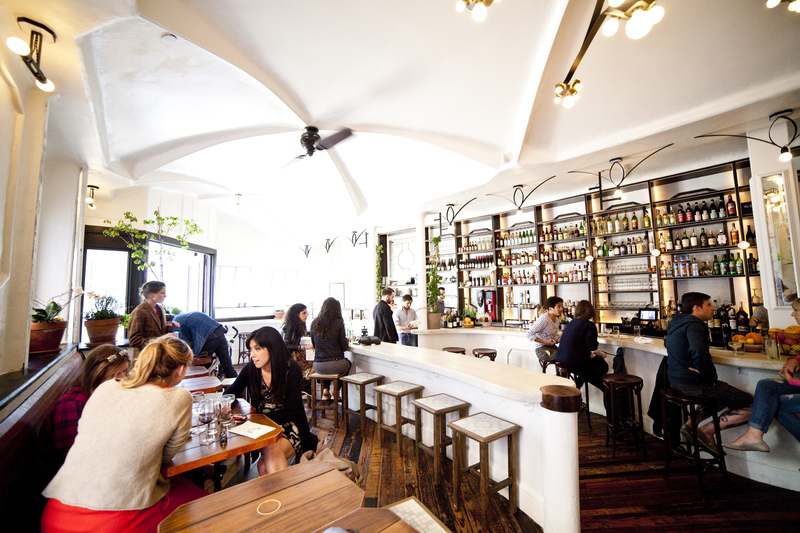 "Our friend owns the restaurant; it’s kind of Middle Eastern. He has riders come in every Tuesday night. Everyone gets together there; it’s very motorcycle-friendly. When people think of motorcycle riders, it’s those guys in bandannas. But this is pretty different, especially the crowd that goes to Spiegel. Everyone’s incredibly responsible. People are drinking lemonades because they’re all riding in on their motorcycles, so everyone’s pretty conscious about drinking, especially in the city. It’s a really sweet community." "A lot of what I do revolves around the whiskey we make and the distillery. So, when I do have some free time, I’m still doing it in connection with this business, which I love. I like to go to Nitehawk because they serve our booze there—our whiskey. Even if I can’t see a movie, I like to check in, say hi and grab a cocktail, just to support the business. You can request anything. Because their mixologists are pretty talented and excited about making stuff, they’ll say, 'I’ll make you something. Describe to me what you’re in the mood for.'" "A few years ago, someone I was dating got me into golf. When it gets warmer, I use this app because golf is expensive and there are so many golf places around NYC: Marine Park, Dyker Beach, Forest Park. It can be 50 or 60 bucks to get a tee time, but if you use this app, it tells you when you can go for around $20. You know, I really love having my own business because, once in a while, you can say, ‘Guys, I gotta go.’ Then, I’ll go with my friends to play golf. I can’t take golf clubs on my motorcycles, but my friends have cars. I realized that it’s one of those sports that you can never do well unless you play every day. No one can do that in New York." "It’s a whiskey club with a focus on inclusion. 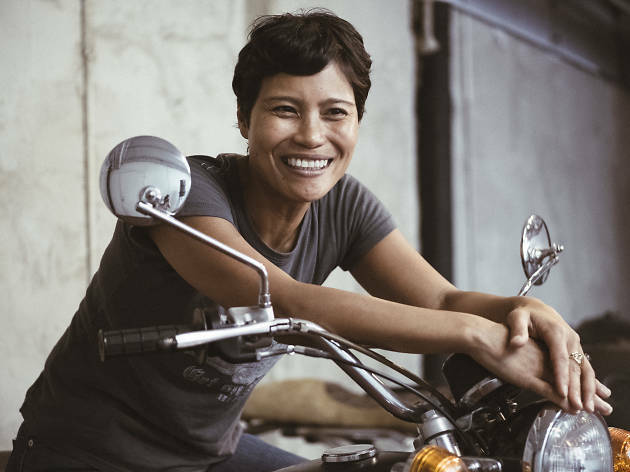 The whiskey world is largely male-dominated, and WWW creates a space for those who are under-represented. It’s an experimental whiskey club that designs and hosts educational events for women (and men) around New York City. From guided tastings to distillery tours and cocktail classes, there’s always something innovative for members—and membership is free!"